Amex Shop Small is my favourite American Express card membership perk. It offers a discount on everyday purchases I’d likely make anyway and it helps to support small businesses in the local community. 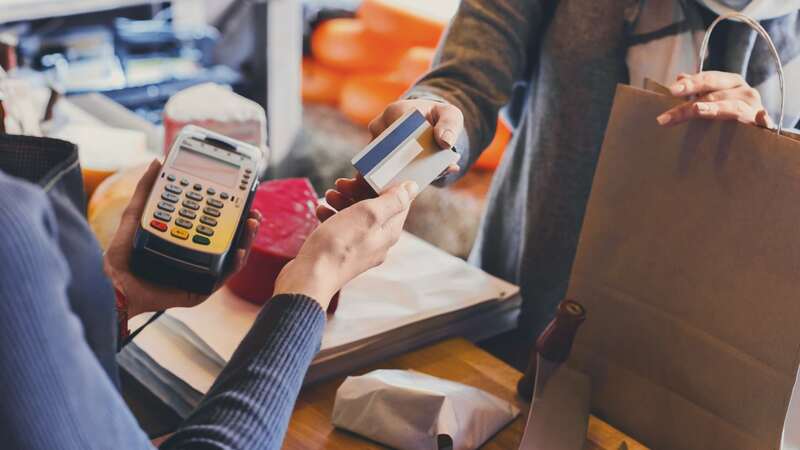 The promotion is designed to encourage American Express card members to spend at small businesses, while highlighting the wide acceptance of AMEX locally. This popular ‘Spend and Save’ promotion is not currently open, but it is expected to run in the future. We’ll be sure to notify our readers when we hear any news about Shop Small 2019. How does it work? During the most recent promotion in November 2018, American Express Card Members were eligible to receive a $10 credit when spending $20 or more in one transaction at participating Shop Small merchants, at up to 5 different places. Read on to discover everything you need to know about this popular promotion. How can I register for American Express Shop Small? Receive offer registration confirmation, and then start shopping! The offer was able to be saved to eligible AMEX cards between 00:01 (AWST) 30 October and 23:59 (AWST) 30 November 2018, or when the offer registration cap of 130,000 Cards was reached. Once saving the offer, a Card Member simply needed to spend the required amount and wait for the funds to be credited to their account. Simple! Which businesses participate in AMEX Shop Small? So many merchants are accepting AMEX these days, and the network of businesses participating in AMEX Shop Small grows larger each year. During Shop Small, most card members should be able to find a range of participating merchants close by. But how do you identify which small businesses you can shop with? Enter the AMEX Shop Small Map. It’s a handy, searchable tool that will help you identify participating AMEX Shop Small Merchants. When you search the Shop Small Map, eligible merchants will be highlighted with the Shop Small logo. The AMEX Shop Small Map is updated regularly and can be found here. Do I need to register each AMEX card separately? Yes. Only spend on the Card number you register counts towards the offer. Each eligible AMEX card must be registered separately. This includes supplementary cards. See below for more information about which AMEX cards were eligible for the most recent promotion. What was the 2018 AMEX Shop Small spend period? Amex Shop Small 2018 has now closed. The 2018 AMEX Shop Small spend period was between 00:01 (AWST) 1 November 2018 and 23:59 (AWST) 30 November 2018. Card Members needed to spend on an eligible, registered card during this time period to receive a $10 credit. When do AMEX Shop Small credits appear in my account? During the promotion, credits should appear on your billing statement within five business days from qualifying spend but may take up to 90 days from the offer end date. Which cards were eligible to participate in American Express Shop Small 2018? All primary American Express cards (including David Jones co-brand AMEX cards) were eligible to participate in Shop Small. Supplementary cards were also eligible, but they need to be registered for the offer separately from the primary card. The following cards were not eligible to participate in AMEX Shop Small: Corporate Cards, American Express Business Travel Accounts, Government Cards, Global Travel Cards, Business Cards that are affiliated with a wholesaler partner, Corporate Purchasing Cards, Corporate Meeting Cards and David Jones Store cards.Full offer terms and conditions are available on the 2018 AMEX Shop Small page. Have you previously participated in American Express Shop Small? We’ll be sure to notify our readers when we hear any news about Shop Small 2019!